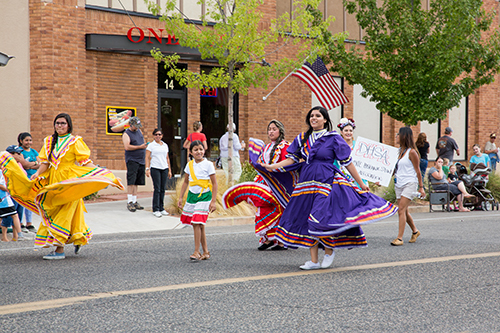 Dixie State University will celebrate the beauty of diversity and encourage cultural awareness as it observes Diversity Week on Oct. 3 through 7. Daily events hosted by the University’s Multicultural Inclusion Center are set to take place around campus. The celebration kicks off from 9 a.m. until noon on Monday outside of the Kenneth N. Gardner Student Center with games, giveaways and food. Then at noon on Tuesday, Game Day will take place outside of the Multicultural Inclusion Center in the Memory Garden. Participants will have the chance to play board games from different cultures and win prizes. On Oct. 5, an American Sign Language Workshop will be held at noon in Conference Room B of the Gardner Student Center. The movie “McFarland” will be shown at 7 p.m. on Oct. 6 for Movie Night in the Gardner Center Student Lounge. Popcorn, treats, and raffle prizes will be available. To conclude Diversity Week, student clubs will model the traditional clothing of their cultures in the International Fashion Show at 7:30 p.m. on Oct. 7 in the Gardner Student Center Ballroom. The fashion show is meant to break down stereotypes and show the student body that all cultures are beautiful. “Fashion is a way for our students to unite together to recognize this beauty,” Bjorkman said. For more information about Dixie State University’s Multicultural Inclusion Center, visit mcdc.dixie.edu.